Huawei’s latest premium flagship smartphone model, the Mate 20 Pro, has only been up for sale in select European markets for about a week and we have already have its first software update, out-of-the-box, rolling out now. With build number EMUI 9.0.0.126 (version number C316E11R1P16) and a file size of about 491MB, this update brings certain new features. These include a new AI zoom feature for improved mini video recording, new filters and effects in the camera, and the October 2018 Google Android security patch. While the rollout will be pushed through an OTA update, users can check whether they have received it or not by going into Settings > System > System update. The Mate 20 Pro’s triple rear camera setup now gets new filters and effects with this software update. Users can apply features like AI colour, Background blur, and Vintage while recording videos, as per the changelog posted by Android Authority. The new AI zoom feature lets users adjust focus for better video recording. The update also integrates the Android October 2018 patch for improved security. This update will not erase data on the handset, but a backup is recommended before installing it. 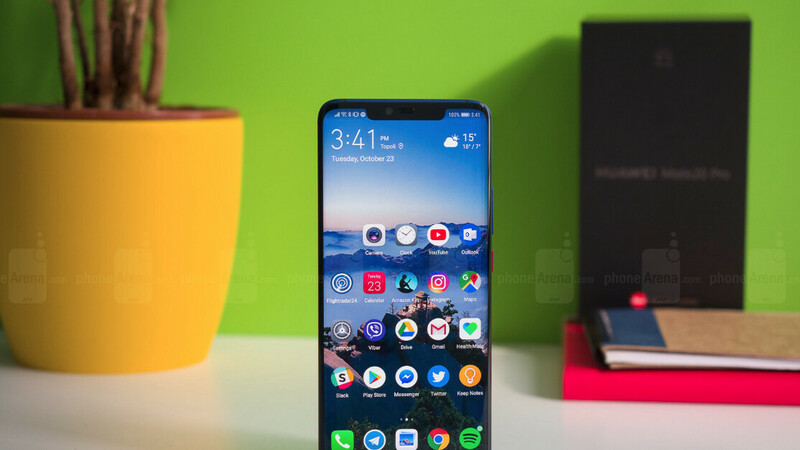 The Huawei Mate 20 Pro runs EMUI 9.0 on top of Android 9.0 Pie, and sports a 6.39-inch QHD+ (1440×3120 pixels) curved OLED panel with a 19.5:9 aspect ratio and 86.9 percent screen-to-body ratio. The handset is powered by a HiSilicon Kirin 980 SoC, coupled with 6GB/ 8GB of RAM and 128GB of inbuilt storage. The Mate 20 Pro sports a triple rear camera setup similar to the one on the P20 Pro. It consists of a primary 40-megapixel wide angle lens with f/1.8 aperture, a 20-megapixel ultra wide angle sensor with f/2.2 aperture, and a third 8-megapixel 3X telephoto lens with f/2.4 aperture. It gets a 24-megapixel RGB selfie camera with support for 3D facial unlocking. There is a 4,200mAh battery under the hood, with support for 40W SuperCharge technology. The phone also comes with support for 15W wireless charging.